The redevelopment of the former Fountain Brewery site has moved a step closer after council planners approved the first phase today. After acquiring the land for development in 2016 Vastint worked closely with the City of Edinburgh Council on the proposals. The scheme will create a new urban neighbourhood that balances work, living and leisure activities in the centre of Edinburgh. The first phase – 5,237 m² / 56,370 sq. 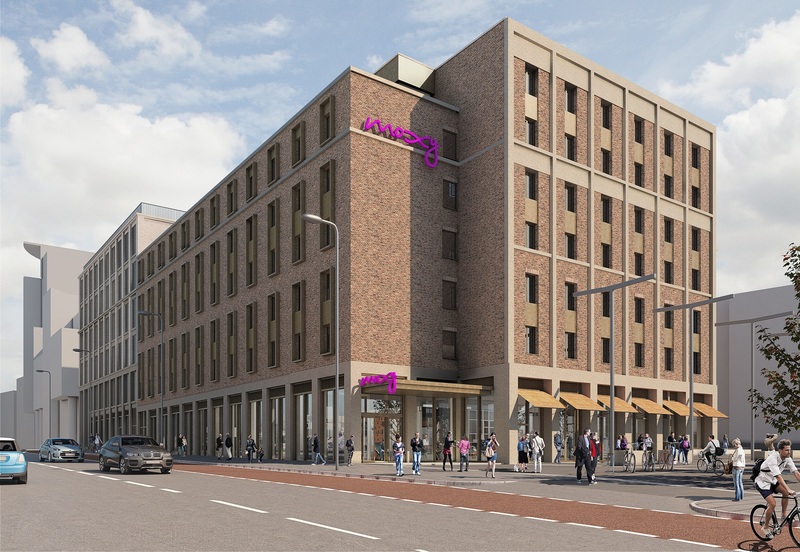 ft. (NIA) – of offices, a 262-bedroom Moxy hotel and several commercial ground floor units – has now been approved and work is expected to start on site by the end of the year.